Ever wanted to learn how to create your own beautiful leather goods? 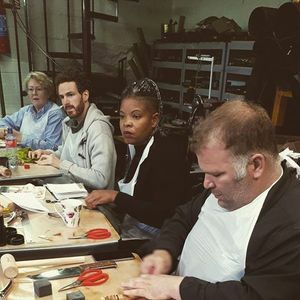 This full-day workshop provides an introduction to traditional leather hand craft. Come along and learn how to prepare and dye leather, cut patterns and hand-sew. Then, at the end of the day, take your creation home with you. The workshop will involve use of dyes and will take place in a work-shop environment so it is important for participants to wear old clothes which will get dirty over the course of the day. Tickets are €95.03 and available through our website.